Holly Jolly Penguins slots was released in December 2017, just in time for the Christmas period about which it is themed. 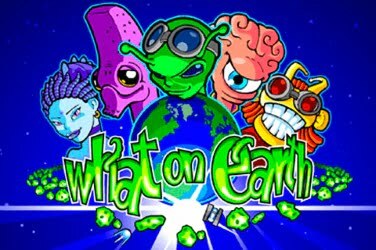 Several cute and cuddly Penguins are busy having some festive fun and players can join them in this online casino game. The game has 5 reels which are within a stripy frame that has ferns and fairy lights strung across the top. In the background players can see various igloos set back from the cold waters of the icy lake. Decorated Christmas trees and wrapped gifts are at either side as a starry sky glistens from above. As the game gets underway players can take advantage of 2x Wild symbols along with a Scatter that regularly triggers a Free Spins Bonus Round. These give players numerous opportunities to create any of the 45 structured pay lines that are included in the games format. 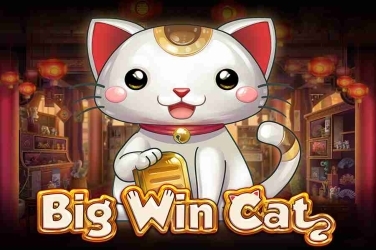 Players are able to use a Desktop, Tablet and even Mobile devices to find this microgaming slots in their many online casinos. 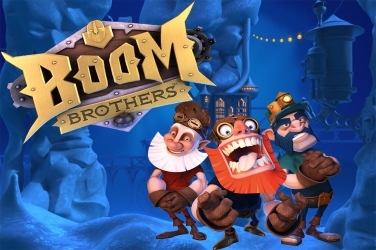 Striking bright and bold colors fill the screen as the detailed 3D graphics have a cartoony look. And as some cheerful festive music can be heard throughout the game players will really get into the spirit of things as they allow the reels to spin. Done in a chunky font and each with a different color are the 10, J, Q, K, and Ace symbols. When matching images are revealed on the reels players will see the low pay-outs that they reward being added to the winning balance. 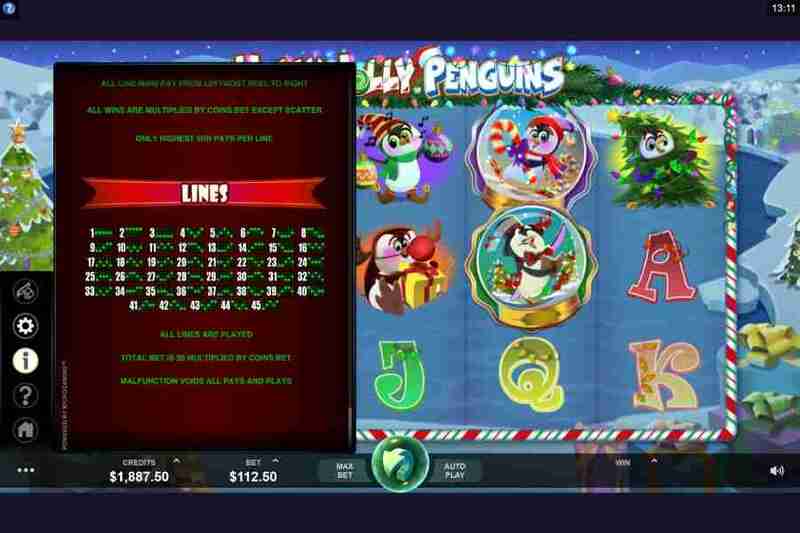 Designed in detail, each individual Penguin is shown having their own Christmas fun in this online slots game. Players will be able to meet Lorenzo, Tania, Rudy, Sven, Ole, Quincy, Quasi, Larry and Darryl. They can be seen throwing snowballs, carol singing and even decorating the trees with sparkling baubles while enjoying the wintery season. Wild – defined by being encased in a snow-globe are 2x more Penguin characters which are the Wild’s in the game. One is donned in his finery singing carols while the other carries a large striped candy cane. Not only can these substitute any other symbol besides the Scatter it also appears on the reels in Stacked positions. This increases the odds of finding a winning combination. Scatter – when a pair of Penguins on a sledge ride move onto the screen then the player knows that the Scatter Bonus has arrived. These are also Stacked across the reels and players could get up to 7x of them after a single spin. And as long as there are 3 or more in view then the player will receive a random prize to include in their jackpot balance. 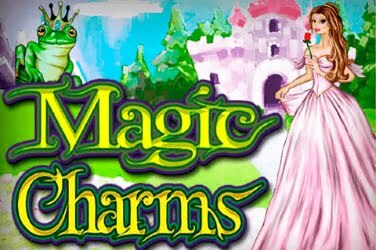 Free Spins Bonus Round – starting from the left there must be at least 3x Scatter symbols on the reels for this Feature to become activated. But as this symbol appears Stacked then there is the opportunity for the player to claim anything up to 80x Free Spins. Should another 3, 4, or 5 Scatter’s be spun then a further 5, 10, or 20 Free Spins are given. 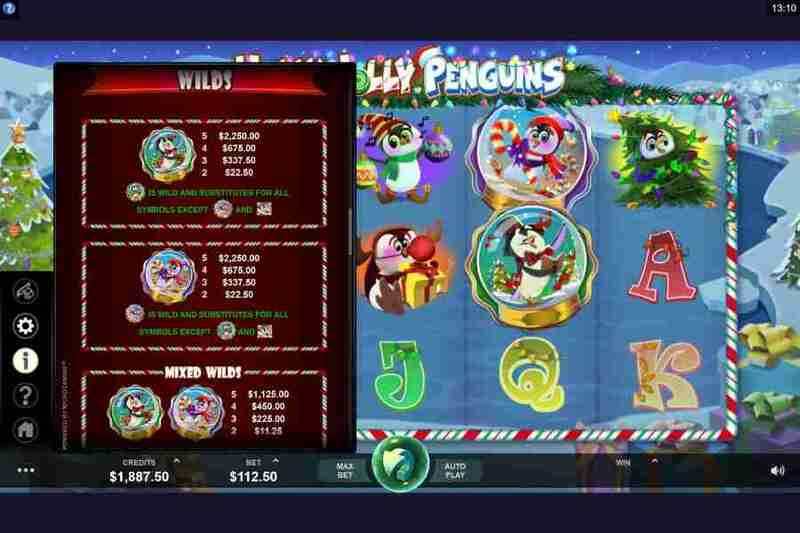 Also during this point of the Holly Jolly Penguins slots game players will find that extra Wild symbols have been added to the reels to potentially give even more wins. Firstly players must decide how much they would like to wager depending on their chosen budget. For low rollers this snowy adventure can start with just 0.50 but for those who prefer to take bigger risks they can place as much as 125.00. These amounts can easily be altered before each spin by using the +/- button on the Control Panel at the bottom of the screen. 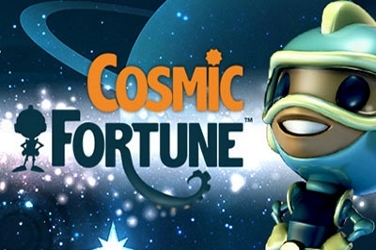 Another option that Microgaming have added to this slots format is the Auto Play Feature. Here players can choose their maximum wager and how many times the reels can be allowed to spin automatically. This means that the player is always in complete control of their game at all times. This is a Low to Medium variance game but with a RTP of 96.20% players are going to want to return time and again to this Christmas themed slots. 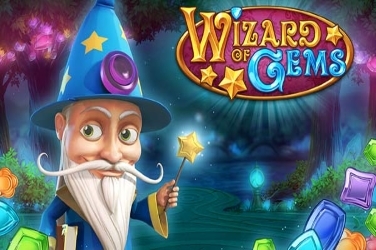 This is especially due to the fact that there are no limits to the amount of Free Spins that can be rewarded. 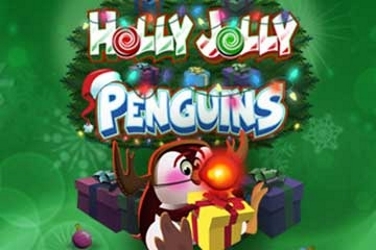 Meaning that if players are staking the maximum amount they could see some high returns while enjoying the entertainment in the Holly Jolly Penguins slots game. 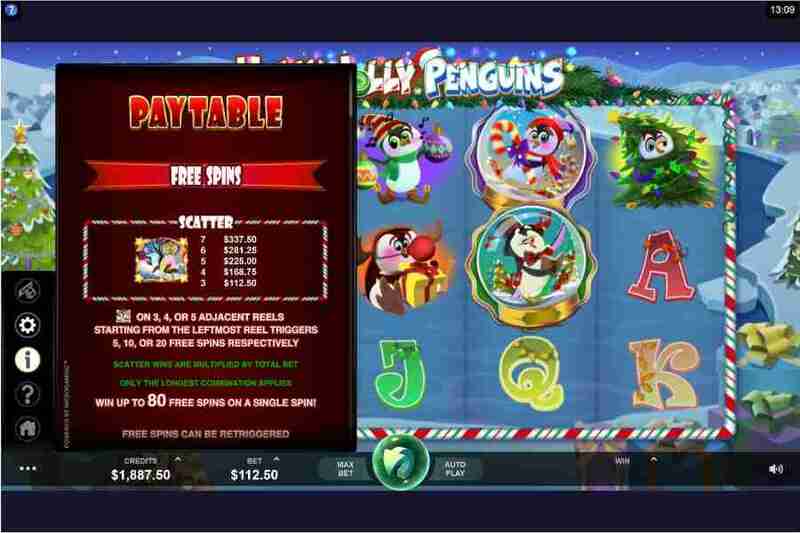 – Play Holly Jolly Penguins reel slot now with free spins or visit microgaming casinos to play for real money.